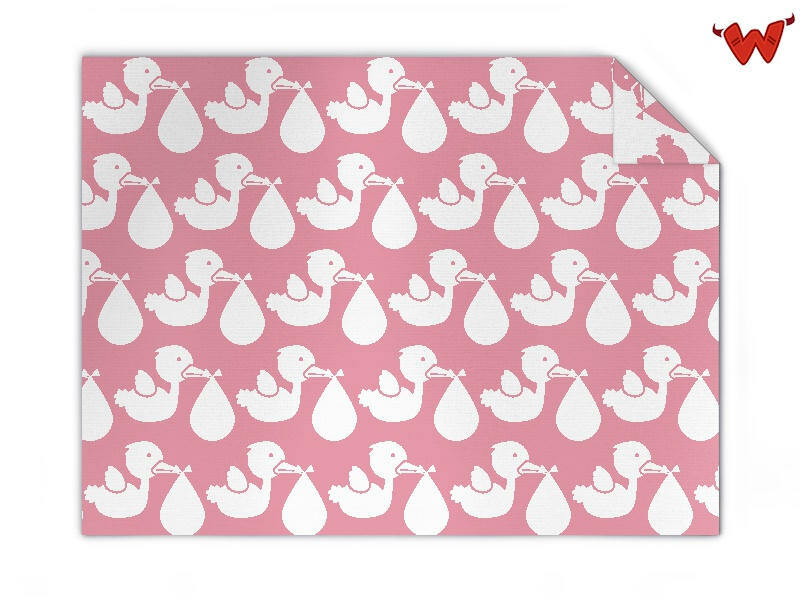 Edit design Baby blanket stork , or create your design from scratch. Design your custom Baby blanket stork, add name, photo, date of birth or any other text, clipart or upload content. This blanket is knitted from certified organic cotton. Baby blanket stork made to order with your custom design, text, logo. No minimums.